What better was to celebrate National Pineapple Upside Down Cake Day than with a festive update to this classic dessert! I was asked by KUTV's Fresh Living to share my favorite version of my grandmother's Pineapple Upside Down Cake and because I love coconut and anything mini-sized this is what I came up with. The recipe is super easy and they bake up in less than a half hour, but the most amazing part of this recipe is the Coconut Rum Glaze that pours into the baked goodness and drizzles over the top. I mean seriously...coconut, rum, and pineapple? Goodness me! Mix together all ingredients and set aside. Preheat oven to 350 degrees. Grease 12 large muffin tin cups. Place a dot of butter and a tablespoon of brown sugar in each muffin cup. Break a one inch section out of the pineapple slices and form them in a circle in the bottom of each cup. Place a cherry in the hole of the pineapple slice. Spoon the batter in about a quarter inch from the top edge. Bake for 15 to 20 minuets. Take out of the oven and poke a few holes in each cake with a fork. Make the glaze! In a small non-stick pan melt the butter. Add the brown sugar and whisk until heated through and incorporated into the butter. Slowly pour in the coconut milk and rum extract whisk until smooth. Spoon half of the sauce over the top of each cake and refrigerate for 15 minutes. Reserve the remaining sauce to drizzle over the top when serving. There are a few cakes that are our family's favorite and this one is a top three. It is seriously the best rich, cold, creamy and sweet cake! I hope you enjoy this updated version of this 1950's classic. You can watch the Fresh Living segment on the site by following the link. It's always a fun time when we are cooking together in the KUTV kitchen! We have loaded our trailer and are on our way to San Diego for this weekend's Pinners Conference! We are so excited for this amazing event. 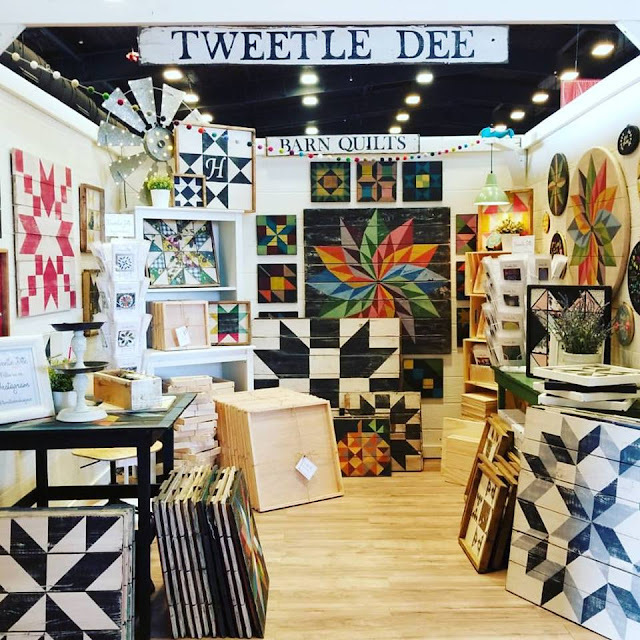 We will have our booth stocked with lots of goodies and will be teaching two classes, our How to Paint a Barn Quilt class and our newest Field of Flowers Hoop-Art Embroidery! 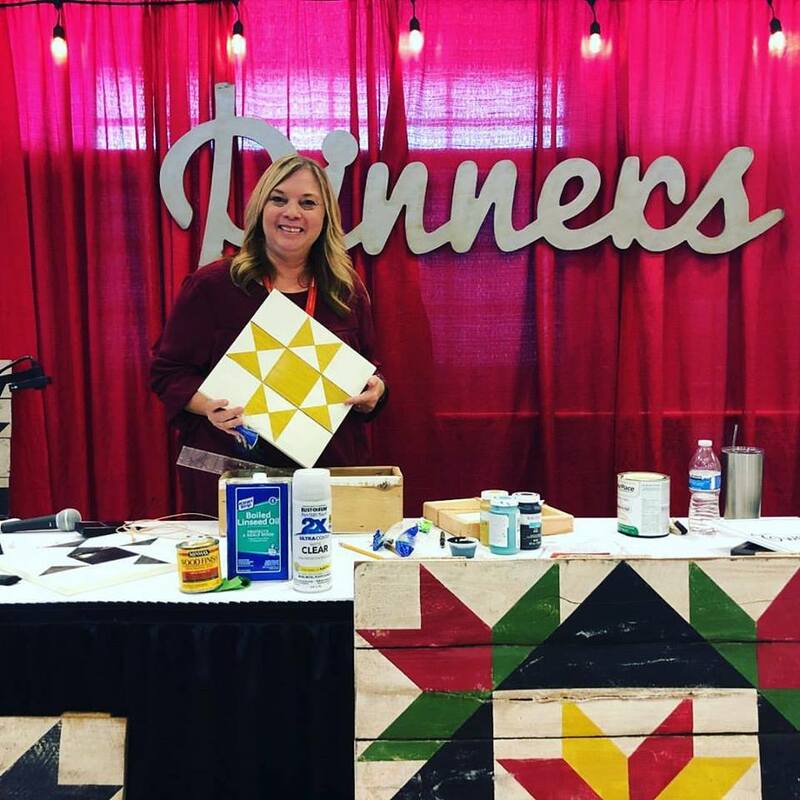 If you have never been to a Pinners Conference, you will not believe how fabulous this event is. 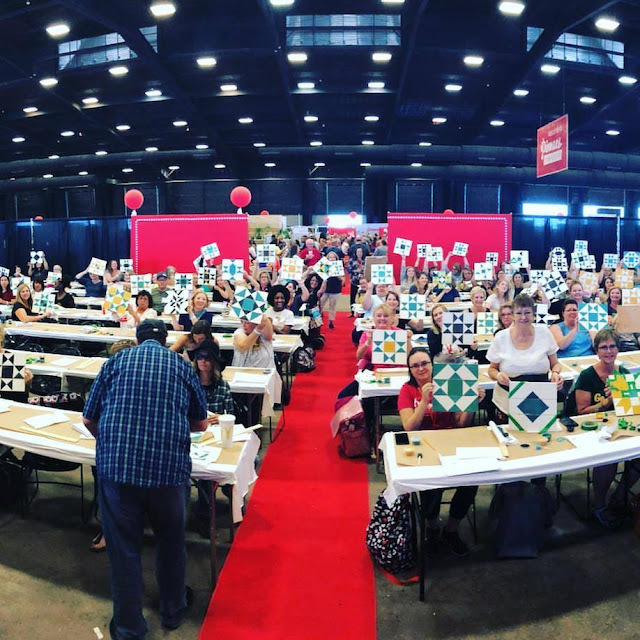 This is the place where Pinterest comes to life with classes taught by leading experts in every field from food and nutrition, to crafts, exercise, family, home decor, calligraphy, and of course barn quilts & embroidery! And I can't stop talking about the shopping!!! So many amazing booths full of the best stuff. I always come home with something amazing. In the How to Paint a Barn Quilt Class we will be painting one of my favorite designs, the Farmer's Daughter. The kits are $25.00 and come with everything you need to paint your own 16" square of farm style sweetness. We are also excited to be sponsored by Deco Art! They will be supplying amazing paints and supplies. Our How to Paint a Barn Quilt Class is on Saturday at 1:00 PM. You won't want to miss it! We are also teaching our Field of Flowers Hoop-Art Embroidery Class on Friday at 2:00! You all know how much I love embroidery and these workshops are so fun. You will learn all of the basic stitches and some of the newest trending floral stitches as well as tips for designing your own patterns. Kits include everything you need to finish your hoop-art and continue stitching more. To sign up for our classes and the many other amazing classes go to Pinners Conference and use code TDD for discounted pricing. For those of you who can't make it to San Diego we are bringing our Pinners Shop to you with a special discount this weekend only! Use code Pinners30 to get 30% off all orders. 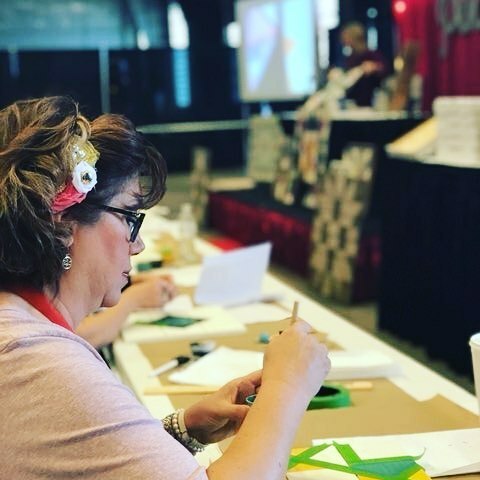 We hope to see a lot of you there this weekend with your paint brushes in one hand and your needles and thread in the other! I can't wait for all of the shopping and classes I get to sneak into. Pinners truly brings Pinterest to life! See you in San Diego.